As of 2017, Millennials, who number over 85 million in the United States and nearly 10 million in Canada, had become the largest single age group by population in North America. Moreover, as the children of the Baby Boomers, previously the biggest generation in history, Millennials are now the largest generation ever. Born approximately between 1980 and 2000, lifestyles and behaviors of these 17 to 37-year-olds are impacting nearly every sector of the global economy. Owning one’s own home, long deemed an objective of the American Dream, appears to have taken a backseat for Millennials as they move forward through their adult lives. Renting, urban living, and frequent moves have become more representative of this generation’s typical behavior. 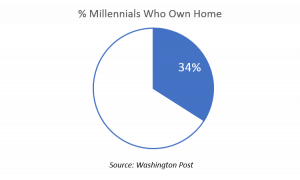 Homeownership statistics have been substantially impacted by changes in the behavior of the Millennial generation compared to their parents, the Baby Boomers. According to a 2016 CNBC report by Diana Olick, the overall homeownership rate had fallen to 63% during the 2nd quarter of 2016, the lowest level since 1965 when the statistic was first tracked. That rate had dropped from 69% in the last part of 2004, the highest recorded level. In September 2016, according to the Washington Post, the percentage of Millennials under 35 who owned their own home was only 34%. One reason cited for delayed home ownership is that Millennials are laboring under the highest level of student debt in history. Another contributing factor is that the real estate collapse of 2008 made obtaining a mortgage more difficult even though rates have been at historically low levels. A more significant reason is that Millennials are deferring marriage and family rearing, often the most significant trigger to homeownership, until later. According to a Washington Post report, Millennials are postponing their first wedding longer than prior generations had. The report further acknowledges the average age of the first marriage for males is now 29-years old; for females, 27. Compare these to the average first marriage in 1960 for males which was only 23-years for men and 20-years for women, leaving an additional six to seven years of single living for Millennials. Homeownership is also a function of stability in one’s job. Millennials again have a notable impact on this trend. After leaving college, educated Millennials change jobs at least four times before they are 32-years old, according to an April 2016 CNN report. That statistic doubles the number of changes of the average Generation Xer, who changed jobs only twice during their first decade after college. Millennials recognize that changing companies is a quicker path to improving income and are willing to relocate to attain that objective. As a result, leasing a home becomes far less cumbersome in those early career years than trying to buy one. The primary conclusion regarding later marriages and job mobility is that we have more unmarried people living in North America between the ages of 17 and 37 than ever before in history. With a lower rate of homeownership, this age group is swallowing up rental residences quicker than ever before. So, what does this mean for Millennial rental behavior and mobility? The work-life relationship has become an essential element of the lifestyle of most Millennials. The relationship of the time spent working versus engaging in recreational activities with friends is important. Hour-long commutes can disrupt this ratio by 10 to 12 hours per week. Therefore, living closer to work and social activities enhances their perceived lifestyle. In most cases, this has resulted in many Millennials opting to live closer to the city center where renting may be the only economical option. In apartment and rental condominium complexes, having more recreational and social features on hand is a significant positive. In larger cities, proximity to one’s workplace and typical meeting places like pubs, coffee shops, stadiums, arenas, and gyms significantly improves the work-life relationship. Furthermore, the cost of homeownership in urban settings is usually high, a further impediment to first-time home buying. This age group is more interested in paying only what they must for a given service. Often, as urban dwellers, owning an automobile is no longer deemed a necessity when availability on demand is such a convenience. Forget all the maintenance, parking, and licensing cost and headaches when you only need a car for a short time. At the same time, urban transportation is convenient and less expensive. The same mindset applies to renting a residence. Besides the likelihood of needing to sell (and lose, after selling expenses) due to a job change, the issues of maintenance, taxes, homeowners insurance, and furniture are not very appealing to an unmarried professional in this age group. More Millennials will be marrying and planning families. More homes will be available as Baby Boomers downsize. Student debts will be reducing. While the forecast for Millennial home buying in the future is bullish, only 32% have as much $1,000 to put toward a down payment. The report further states that 44% have saved nothing at all and that most Millennials will need another decade before they will be able to afford a home at current pricing levels. 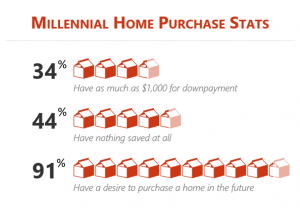 In a 2014 Fannie Mae survey, 91% of Millennials who rent stated a desire to purchase a home in the future. Purchasing behaviors have always tended to change from generation to generation. 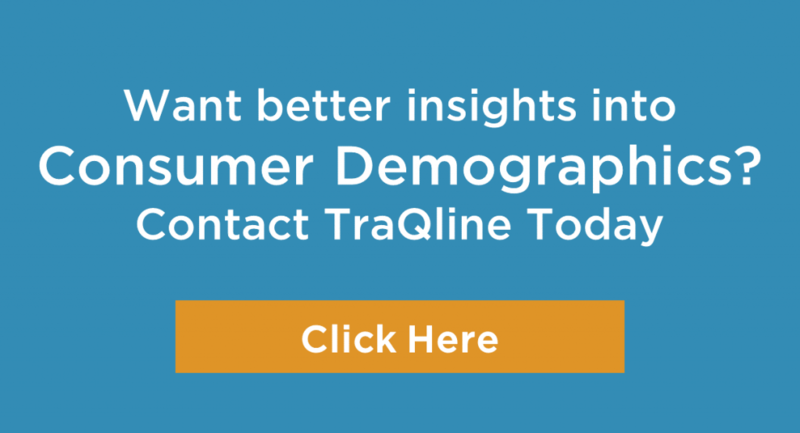 Availability of more variety, differing lifestyles, changing real income levels, brand loyalty, and speed of delivery play a significant role in the evolution of purchasing decisions. The one-time American Dream of marrying, starting a family, and staying put has morphed into delaying marriage, changing careers, and relocating. The result has been a notable delay of individual first home purchases and an increase in demand for rental properties. As the time passes and average incomes rise while Millennials finally grow their families, this generation will begin to occupy the homes vacated by the Baby Boomers who will have passed away or downsized. 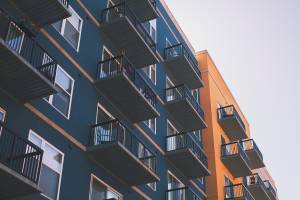 More affordable homes will reach the market as this age group matures further.